Home > Geraldton – are you ready? The annual Chevron City to Surf for Activ returns to Geraldton’s foreshore this Sunday. WA’s only charity fun run produced by the community for the community raises vital funds for Activ Foundation which finds employment and housing for people living with a disability. An expected 400 Geraldton locals and running enthusiasts are anticipated to participate in the 4km and 12km courses, starting and finishing at Foreshore Drive, next to Dome Café. A family friendly initiative, the Geraldton City to Surf for Activ is achievable no matter your fitness level or ability, with inclusive options to walk, run or roll along the stunning city shoreline. The 2018 Activ All Stars will be present at the starting line with local legend Kiralee Chidlow leading the stars through the 4km course, along with Mia Rodriguez, Christie Erenshaw, Paul Mitchell and Raziel Rodgers. If you’re in town and up for a bit of fun-raising we encourage you to dust off those running shoes and get active for Activ. Register online at chevroncitytosurf.com/Geraldton before 12.00pm August 4, or register in person at the Race Bib Collection located at The Gerald Apartment Hotel, 25 Cathedral Ave between 9.00am and 5.00pm.  The 2018 Chevron City to Surf for Activ is Activ’s largest annual fundraiser, and is open to individuals, charity groups, not-for-profits, schools and community groups. The Geraldton leg is the third event in the series, with two final races taking place in Karratha and Perth during August.